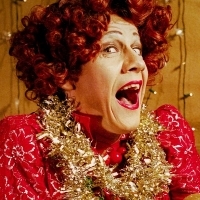 Diane Chorley is a British stand-up/ character comedian and "The Queen of Canvey". "Diane Chorley was born in Canvey Island in the late 1960s, the daughter of a Hodd Carrier and a housewife. Her father was a silent, reflective man who spent his time shifting bricks across the windswept suburban landscape of the 'Sinking Isle'. Her mother was a hard woman whose hands resembled the texture of a dried out flannel and her teeth were the colour of cracknel. She dragged Diane into her early teens before she received a life sentence on the eve of Diane's 16th Birthday. She had killed Diane's Father upon discovering that he was having an affair with a Chiropodist from Billericay."